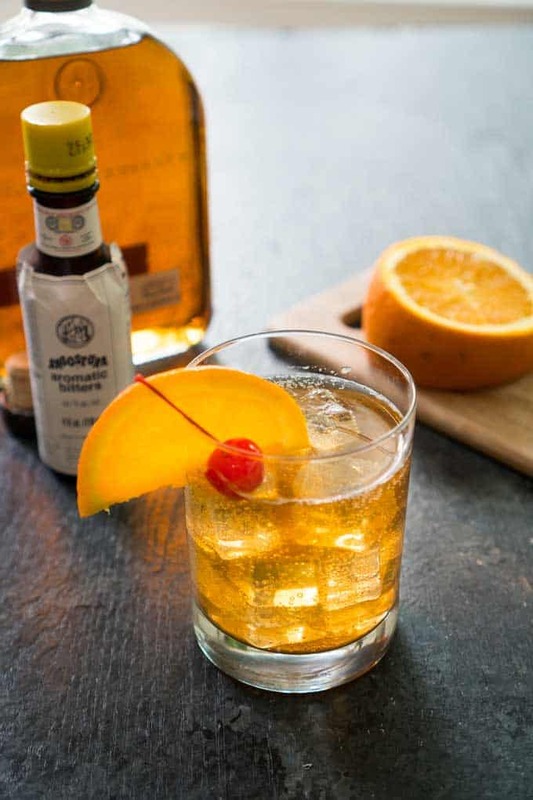 An Old Fashioned in truly one of the most classic bourbon cocktails you can find. Learn how to make this whiskey cocktail that should be part of any mixologist’s repertoire! My husband reminds me all the time that he took a bartending class in college. 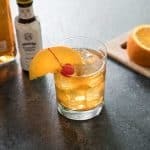 I’m a huge cocktail fan while he’s more of a beer guy so I like to try and put him to work at the bar regularly and he recently went old school and made me a classic Old Fashioned cocktail which quickly became my go-to nightcap. Today I want to share not only the classic Old Fashioned recipe with you but also a low-calorie, low-carb version I’ve been enjoying as well. 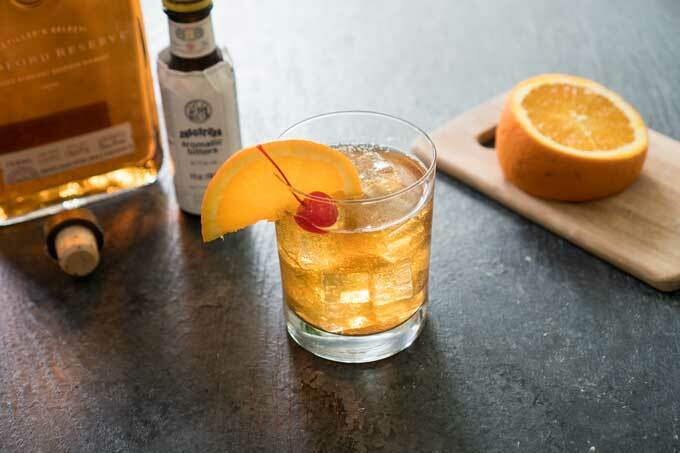 It doesn’t get much more classic than an Old Fashioned bourbon cocktail. Add sugar cube to an Old Fashioned glass and crush. Pour bourbon, bitters and club soda over and stir. Add ice and garnish with orange slice and cherry if desired. How many carbs are in an Old Fashioned? While there are not too many carbs in a classic Old Fashioned, the Marashino cherry and sugar cube does add about 18 grams of carbs. For a low carb/low-calorie version of this cocktail, I combine the bourbon and bitters with Orange flavored soda water (like La Croix) instead. Y’all know I love me some La Croix cocktails!! You still get that beautiful flavor of the original Old Fashioned Cocktail recipe without the added sugar and calories.